"Geology is the science studying the ever changing Earth and its environment"
The Department of Geology, established in 1964 as part of the University of Ceylon, is the only full-fledged Geology Department in the University system. It has forged ahead with vigour. Indeed within the last 40 years, the Department has progressed rapidly from a building with empty rooms to a well-equipped academic centre. 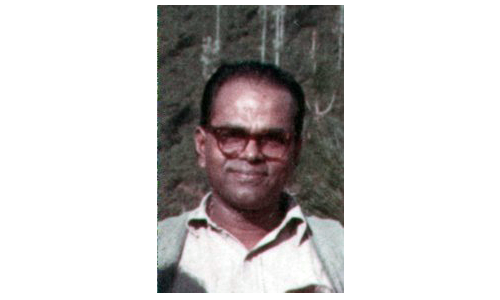 In September 1964, instruction was initiated in the Sub-Department of Geology at the first year level by late Prof. P.W.Vitanage (Ph.D., University of Chicago, 1959) with a class of 12 students. The Sub-Department of Geology functioned under the Department of Geography. It was poorly equipped and the brunt of the teaching was done by Prof. Vitanage. In September 1965, a second class of 9 students began their instruction in Geology. 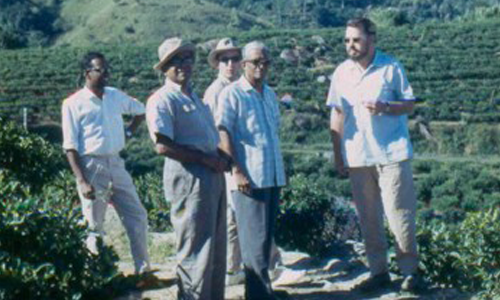 In January 1966 two temporary lecturers were added to the staff of the Geology Department; one was a Sri Lankan (Prof. Ananda Gunatilaka) who had obtained a Bachelors Honours Degree in Geology from New Zealand and the other was Dr. J.D. Godfrey who was attached to the department on an initial 12 month assignment through the Canadian-Colombo Plan. The progress of the Department owes much to the generous contributions made by the Canadian International Development Agency and UNESCO by way of staff and equipment. In September 1966, Dr. V.P. Kahr (Ph.D., University of Graz 1946) was appointed to the staff on a 24 month assignment, by UNESCO. A month later a third batch of 16 students began instruction in Geology. By this time more teaching facilities had become available and more personnel had been recruited to the technical staff. April 1967 was a memorable month for the Department when it was established as a full-fledged Department. The untiring efforts of a few who dedicated their time and energy for the progress of the Department bore fruit. Arrangements were also being made to introduce a B.Sc. Honours Geology Programme. The period between 1967 and 1969 saw a number of changes within the Department. Many new foreign lecturers were added to the staff along with temporary assistant lecturers who had obtained their degrees from the University of Ceylon. In August 1969 the first batch of Special Degree students sat for the Final Examination. In spite of the teaching activities of the Department, research in the Geological Sciences was not neglected. The staff and the senior students are actively engaged in research with an applied basis. Now the Department comprises 12 permanent staff members who are trained in various fields of Geological Sciences. Welcome to the Department of Geology, Faculty of Science, one of the more dynamic department in the University of Peradeniya. Being the one and only university department in Sri Lanka, Geology Department has a proud history of excellence in teaching and research in Earth Science related subjects. From its establishment in 1964, the department produces over 500 Geology graduates who serves all over the world and all are well employed. Because of this, Geology is one of the most popular disciplines among student who enters the Faculty of Science. Our teaching staff is well qualified and all of them are trained overseas. Our teaching provides student excellent background knowledge on basic geology. Our graduates are also well equipped with practical and field trainings that help them to pursuer career as a professional or as a researcher in the academic field. Teaching staff of the department involve with various research activities. Earth system science, resource exploration and utilization, environment and climate change and similar themes that address national priorities and issues of national importance are the research involved by our staff. They also collaborate their researches with other counties such as Germany, Japan, Australia, Sweden and US. The Department provides a pleasant and friendly atmosphere to learn. Our teaching staff, technical staff and teaching assistance are all there to help students and to share their enthusiasm. Not only undergraduate degree programs, we also offer varieties of coursework based postgraduate programs and researches leading to higher degrees. With the training you will obtain from our department, your future prospects will be enhanced. If you are passionate about Earth and Environmental Science discipline, don’t hesitate to contact us. You always welcome to our Department and share your knowledge with us making our world a better place. You can obtain more details on our courses of undergraduate programs and opportunities for postgraduate degree programs on our courses page.